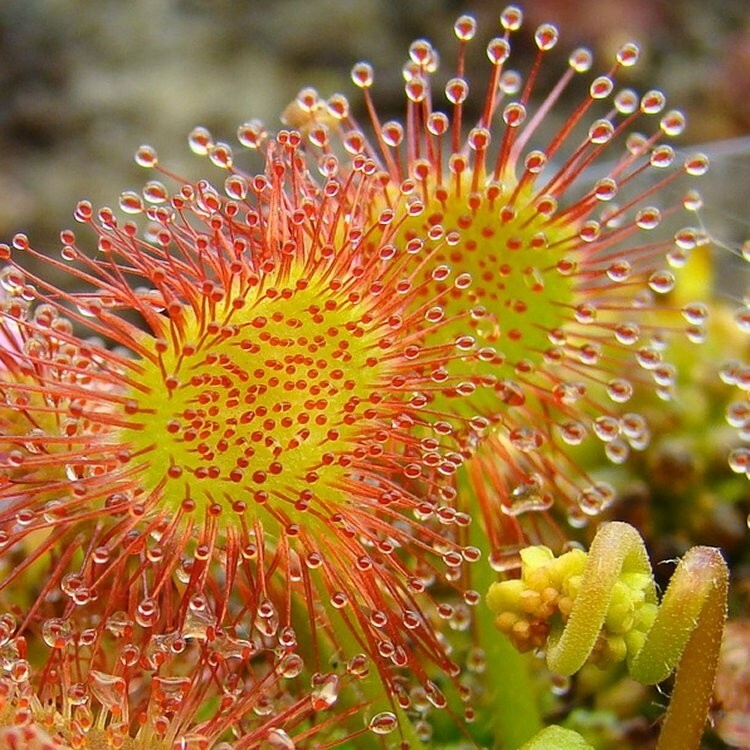 Better known to most as the Sundew, this Flytrap (Drosera) is an intriguing carnivorous plant that catches and digests animal prey - mostly insects and arachnids. The trapping structure is formed by the terminal portion of each of the plant's leaves. The leaves of D. sessilifolia are covered with tentacles (trichomes) that secrete a sticky “dew” to attract and catch prey. In addition, the leaf edges are lined with snap tentacles which quickly fold up when disturbed, drawing prey up onto the dewy portion of the leaf. The trapping mechanism is so specialised that it can distinguish between living prey and non-prey stimuli such as falling raindrops. 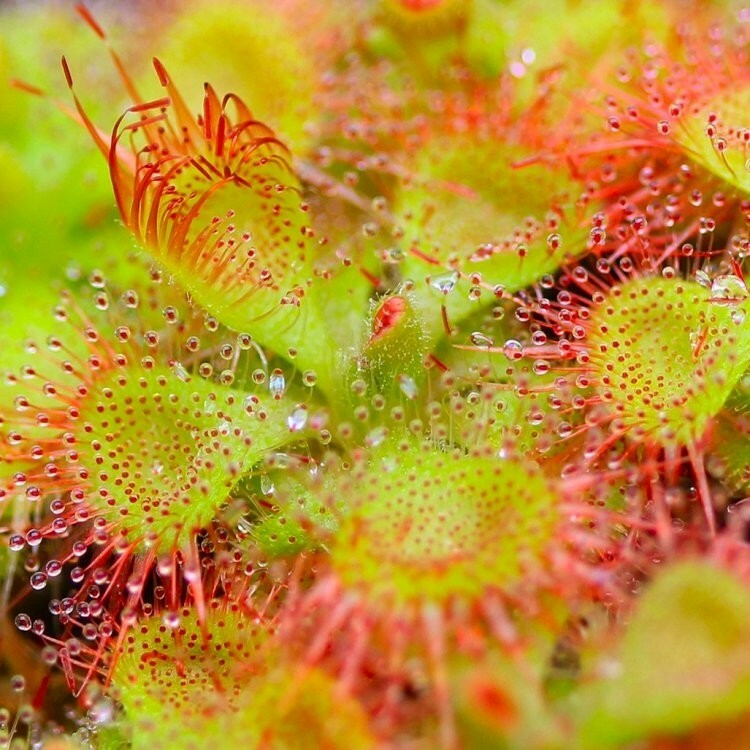 Sundews often grow as an annual, but can live several years if flower stalks are removed as they appear. Supplied as established young plant ready to start catching prey! Loved by young and old alike, this best selling plant makes for an unexpected, exciting and unusual gift.